Biloxi’s only independent book shop! New location in Ocean Springs now open for business! We are happy to announce that children’s author Patricia Vermillion will join us for story time. She will read her latest picture book, “Hound Dawg”. Ms. Vermillion is an award winning children’s author and is a Mississippi native, now living in Texas. We will also have a surprise guest join us! Don’t miss it! 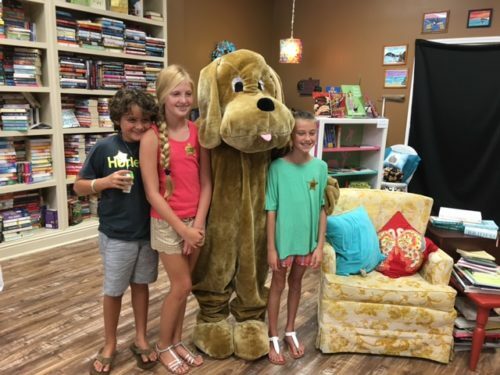 At Southern Bound Book Shop, we offer new and used books in numerous genres from Fiction to How-To, and provide a cozy Children’s section for the little ones as well! We will also trade your used books at the Biloxi location for store credit to use towards future purchases. We value the authors in and around our community and support their literary efforts by showcasing their books. Southern authors are our specialty! But we’re more than just a bookstore! Stop in and check out our collection of vintage jewelry and art pieces & decor by local and regional artists! Thank you to Mr. Ronald Baker, of Biloxi, for masterfully crafting our Little Free Library!